You want to say good bye to blackheads in one day? 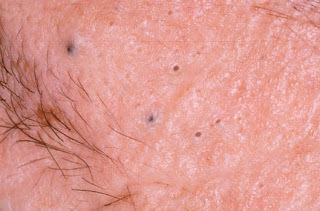 Then use this simple home remedy and get rid of blackheads. then take some Lemon Juice and Egg a say bye bye to blackheads. Take a bowl and mix the Egg White with Lemon Juice. This will be a thin mask. Apply this mask on your face and leave it to dry for 20-25 minutes or more.The mask will be stiff and tight when it will be dry. Now Start peeling your blackheads. Always start it from nose and forehead. Peel it as much as you can and then rinse off with plain water and wash your face with a face wash according to your skin type. You will observe a noticeable change in your skin.